It seems a pity, but I do not think I can write any more. Professor William K. Van Moorhem received his Ph.D. in Aerospace Engineering from Cornell University in 1971. 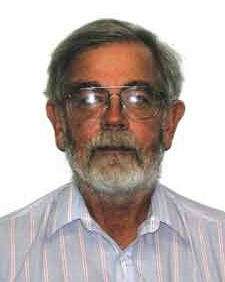 After working for three years as a Senior Engineer at Avco Everett Research Laboratories, he joined the Department of Mechanical and Industrial Engineering at the University of Utah in 1973; he was promoted to the Professor rank in 1993. Starting in 2000, he served as Director of Undergraduate Studies at the University of Utah. While at Utah he also obtained summer appointments at Auburn University as a USAF/ASEE Faculty Associate (1977) and at Old Dominion University (1979) as a NASA/ASEE Faculty Associate. In 1980-1981 he held the appointment of a National Research Council Senior Research Associate in the Acoustics and Noise Reduction Division at the NASA Langley Research Center. Professor Van Moorhem has directed the work of over 30 M.S. and Ph.D. students in his area of specialization; his research devotes itself to the areas of acoustics, fluid mechanics, unsteady flows and wave propagation. He has been the recipient of the University of Utah Distinguished Teaching Award (1984), the Outstanding Teaching Award in the College of Engineering at Utah (1993), and the ASEE Outstanding Teaching Award in the Rocky Mountain Section (2003). He is a member of the Acoustical Society of America, the American Institute of Aeronautics and Astronautics and the American Society for Engineering Education. He is also a Registered Professional Engineer in Utah. Professor Van Moorhem was the Major Advisor of Professor's Flatau (now at the University of Maryland) and Professor Majdalani (now at the University of Tennessee). He retired from service at the University of Utah in 2004 and is now enjoying his free time with his wife Julie in beautiful Klamath Falls, OR.